Benji Takes a Dive at Marineland tells the story of how the world's most loved pup, Benji, became the first dog in history to scuba dive! The film starts with Benji sailing his own yacht, the Sea Woof, to Florida Marineland ocean aquarium, where he stars alongside Jesse Davis, Joe Camp and The Mulberry Squares as he meets new dolphin playmates, hordes of adoring fans, a beautiful merdog reporter named Lana Afghan and a jealous Nazi rival, who tries his best to stop Benji from fulfilling his dreams of coming nose-to-nose with the fishes. With wonderful and unforgettable musical numbers and fun adventure, Benji Takes a Dive at Marineland is just made for lovers of animals the world over! 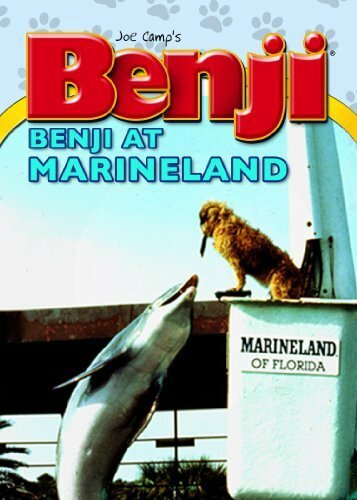 Benji Takes A Dive At Marineland is rated G for general exhibition and was originally released on VHS in 1985 and first re-released on DVD in 2007. Why? For lovers of animals, the world over!